Welcome to Entertainment Nation. We are your entertainment agency, so whether you are looking to hire a wedding band, book the best party band or book exciting corporate event entertainment, our team are on hand to help you find exactly what you are looking for. 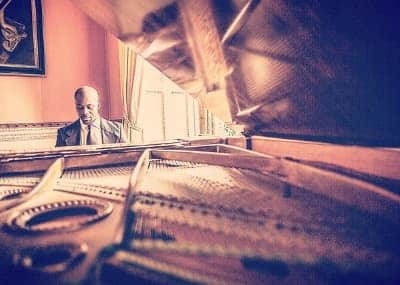 Entertainment Nation was founded by professional musicians with vast experience of performing at live events and planning live performances, so we know exactly what works for your event and what doesn't. Our friendly, expert entertainment advisers take the time to get to know you and help you to hire a band that's perfect for your event. It's our mission to make it easy for you to find amazing bands for hire. Using the filters above, let us know the type of event you are planning, where it is taking place, when it is taking place and the type of act you are looking for, and you'll be matched with a list of exceptional entertainers available to hire. 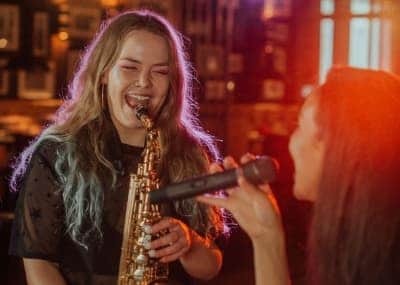 Each of our amazing UK bands, musicians and performers has a dedicated profile packed with stunning photographs, incredible music videos, professionally recorded songs and in-depth biographies to help you get to know them a little better and book a band ideally suited to your event. You'll also find all the little details and options that help make an act's performance personal to you. At Entertainment Nation we demand high standards from all our live performers. Every musician, band and entertainer on the Entertainment Nation books is of the highest quality. The expert musicians on the team rate and review each act to ensure they are talented, charismatic and reliable. We maintain strong relationships with all of our performers, getting to know them and working closely with them in order to provide you with a seamless professional service. When you hire a band through a reputable entertainment agency you get the peace of mind that your event is in safe hands. Our team will guide you through every step of the booking process, answer any questions and offer you suggestions on the best bands to hire. We'd love to work with you to hire a band UK and make your event an occasion to remember. If you have any questions at all about booking a band, don't be afraid to get in touch - even if you need to hire a band at the last minute! There are loads of ways to get in contact with our team of helpful advisers: you can call, start a live chat by clicking the "Chat Now" icon in the bottom right corner or send an email. However you choose to get in touch, our team are here for you from 10am until 10pm, 7 days a week, including bank holidays and weekends, so you can organise live entertainment at a time that's most convenient to you. 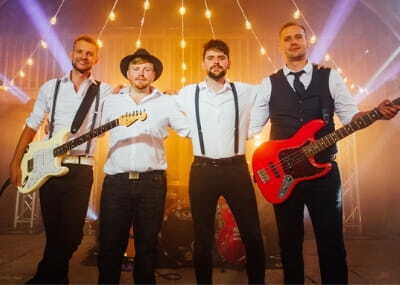 5th Street are an electrifying 4-piece band whose show-stopping performances of the biggest and best rock and pop anthems from the last 60 years will have everyone at your event singing along! Featuring a powerful, gritty lead vocalist backed by 3 breathtakingly skilled musicians, it's no wonder they're one of the most sought after bands for hire right now. Hire 5th Street today for a rockin' show! Wandering Wings are a feel-good festival band who perform an array of hits in their own unique folky style! 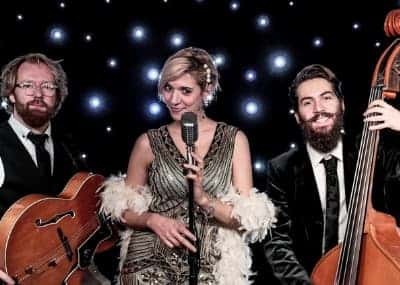 This troupe of exceptional acoustic musicians are equally at home performing upbeat hits to get guests dancing and tender ballads for those romantic moments. Wandering Wings offer a fully amplified evening set, as well as a quirky roaming band performance. Book these incredible young musicians now! 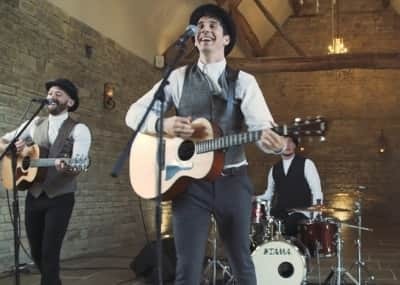 Looking for an exciting modern acoustic folk band who know how to get guests flocking to the dance floor? Look no further than The Lightmen, an acoustic trio who specialise in folk-flavoured renditions of the most popular songs ever created. 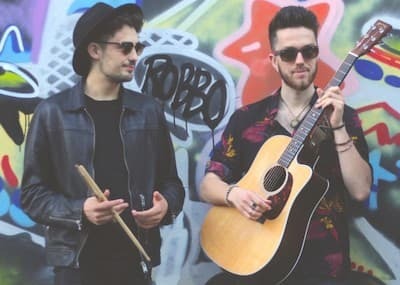 These highly-trained musicians perform energising sets that feature unique folky covers of songs by legendary artists like Stevie Wonder, Michael Jackson and George Michael, as well as modern greats like Mumford and Sons, Ed Sheeran and Bruno Mars. Book now! This powerful and impressive 3 piece will leave you astounded with their incredible and electric show! 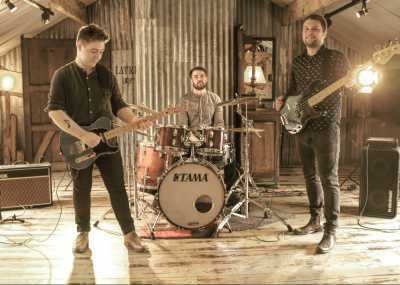 Male fronted Wildcard perform nationwide to critical acclaim! Don't miss out on booking these sensational musicians for your event! One of the most in-demand rock, pop, folk and indie bands for hire in the UK, Dance Floor Fillers' only mission is to get everyone out of their seats and onto the dance floor! 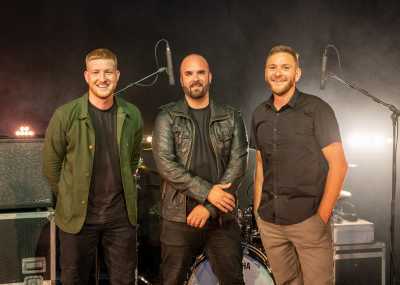 These four experienced and passionate musicians deliver an unbeatable performance featuring anthems from Mumford & Sons, Ed Sheeran, Kings of Leon, The Killers, Oasis and more. What are you waiting for? Get them booked up now! Rewind will make your celebration. Let this female vocalist fronted band get your event bouncing with their eclectic mix of modern hits, 90's garage selection, mosh pit bangers, and old school classics. Your guests WILL be bouncing all night long, guaranteed. This 5 to 6 piece band will tear up the stage, delivering a high energy and wow show. Let them be your dream entertainment! Jam Hot are without doubt the most spectacular, most exciting, most awe-inspiring live show band in the world today! 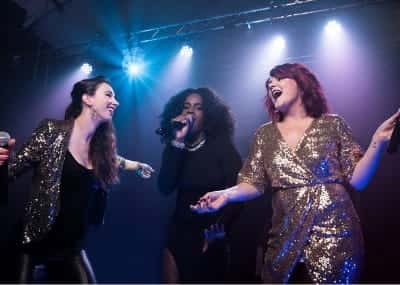 With a 8-29 piece line-up featuring four sensational vocalists and a repertoire of the hottest Pop, Soul, Dance, Hip-Hop, Motown and R'n'B medleys, Jam Hot are the ultimate in luxury live entertainment! "We had a fantastic day thank you, the band definitely get 5 out of 5 from us. They were fabulous, amazing sound and so many of our guests and staff at the venue commented on what an exceptional band we had chosen. 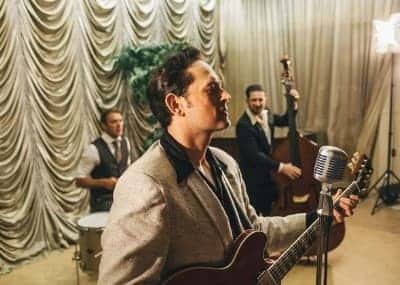 They took on our request for our first dance, we hadn't heard this before the night as we trusted in the band, and we were not disappointed, it was beyond our expectations, thank you." "We absolutely loved Block Beatbox at our festival wedding party! All the guests commented on how good they were. They were so much fun and had loads of energy. Also really nice guys! 5 out of 5. - from Anna"
"Absolutely brilliant band. Sounded fantastic even as a four piece, truly outstanding musicians, putting together a brilliant arrangement for our first dance. Really helpful and accommodating with travelling and logistics as well. The band arrived well ahead of their set time and really put their all into making our wedding special. Would absolutely recommend!" The Revivers are an energetic and passionate trio of young musicians whose scorching sets serve up a surge of energy at any event. 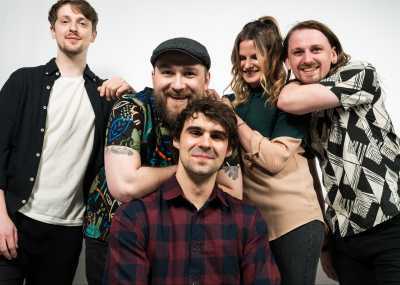 This amazing band for hire's party-starting live show is packed with rock, pop and indie anthems from throughout the decades. For an unmatched atmosphere, hire Revivers today to kick-start your event! The Lift-Offs are a cool and highly experienced trio playing pop, indie, rock, funk, soul, and plenty of classic favourites to get your party started and fill your dance floor! Alongside rousing three-part harmonies the band use a lead guitarist, bassist, and drummer to bring life to songs from the ages! The Passengers are a 5-piece band for hire who perform a scorching repertoire of indie, rock 'n'roll and rock from throughout the decades. These versatile musicians can even throw some Mumford-and-Sons style modern folk into the mix! 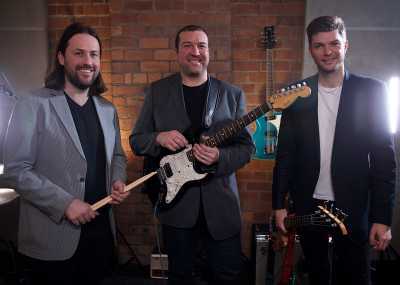 Highly experienced and hugely talented, they've been on the live music circuit for a number of years. 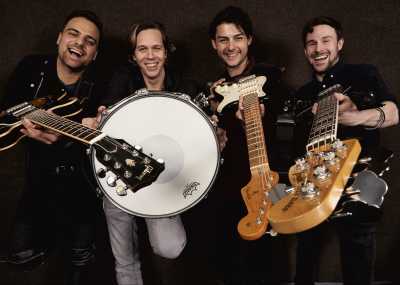 While performing in originals bands, the guys have racked up airplay on national radio stations, a number 3 chart hit and sold-out shows in Japanese arenas! 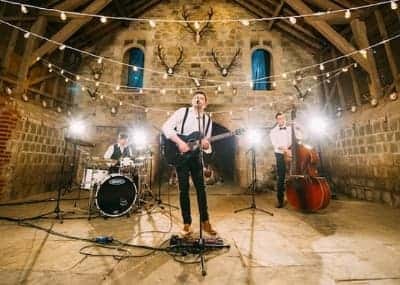 A charming 3-4 piece band band for hire who specialise in the world's greatest pop, rock, indie and soul, Cobalt Sky supply live entertainment to elevate your event into the stratosphere! 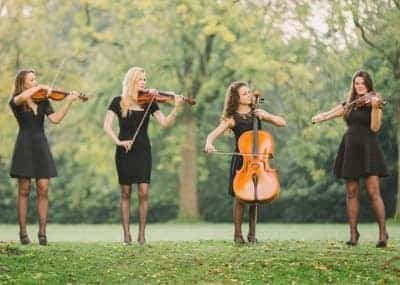 Consisting of music graduates who've performed together for over five years, these sensational musicians have the skill, talent and experience to create a flawless event for you and your guests . 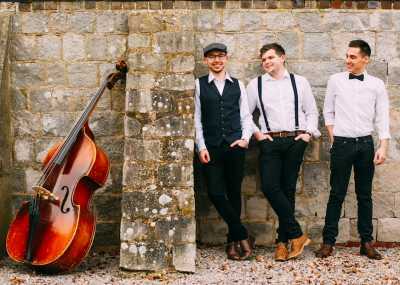 Cobalt Sky's huge repertoire and friendly, approachable attitude will make your event one to remember. The Top Dogs play the songs that you and your guests want to hear! 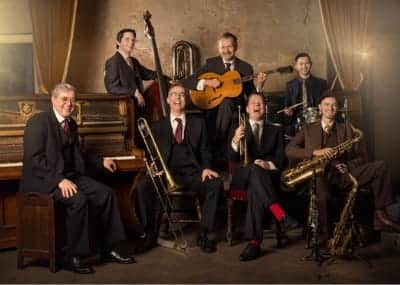 An abundantly talented group of highly experienced musicians, The Top Dogs can be relied upon to give you and your guests an unforgettable evening's entertainment. 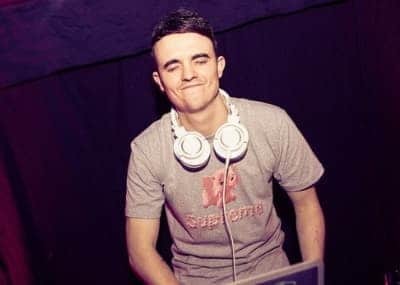 Thanks to a setlist full of all your favourite artists from Oasis and The Beatles to Prince and Stevie Wonder, the energy at your event will be infectious, leaving every single guest crying out for more. 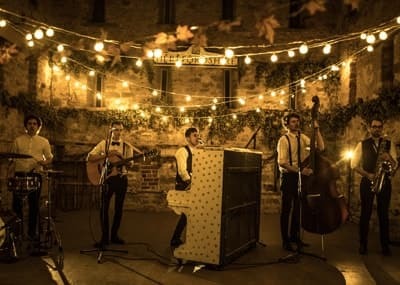 To hire this top live band, visit their profile today. 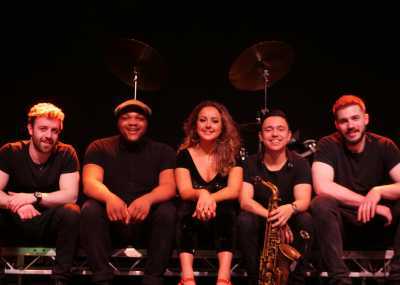 Electrosoul are a super-fresh live band who perform a wide range of pop, R&B, soul and Motown tunes in a modern, energetic style. 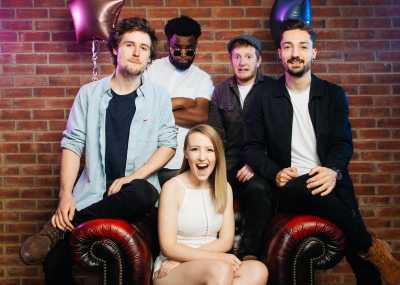 Featuring top musicians and soaring female lead vocals, Electrosoul deliver a performance that'll have the dance floor jumping from start to finish! 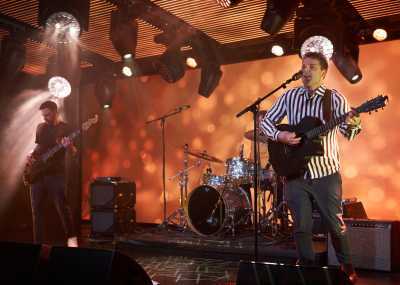 Visit Electrosoul's profile to find out more about booking this hugely popular band for hire.